This article explains the steps required to exclude disks when Macrium Reflect starts up. Reading all local disks may be time consuming and may also load unnecessary information, such as the disk information of your backup disk which will never be the source of an image process. 3. Enter the name 'Disks' for the new key. 4. Right click on the new 'Disks' key and select 'New'? 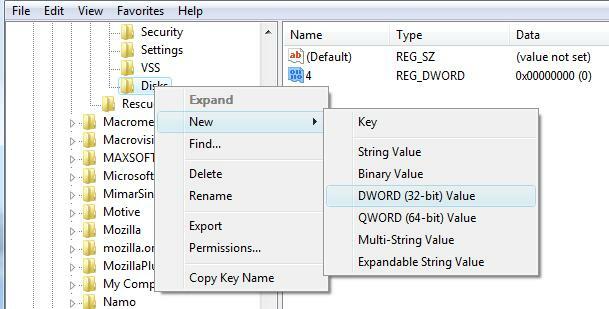 > 'DWORD (32 bit) Value'. 5. Enter the number of the disk that you want to exclude. In the above example it is disk number '4' that's excluded. 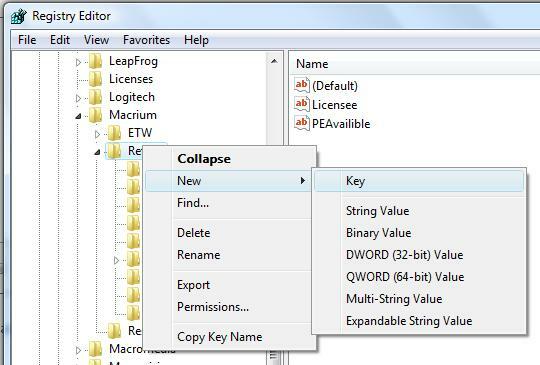 You can add multiple disks by adding additional values to the 'Disks' key. The disk number is the number that's displayed in the Windows Disk Management console. This is 1 less than the number that's shown in the Macrium Reflect main window. 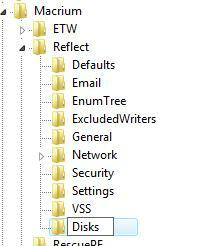 So, if you want to exclude disk number '1' that's shown in Reflect then enter '0' as the disk number in the registry. The next time Macrium Reflect starts it will ignore the disks specified at startup.